It's back with a capital B! 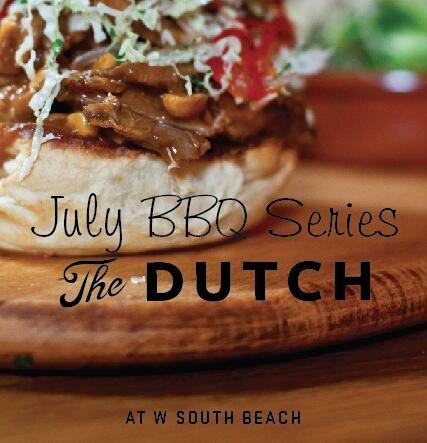 Bourbon, Beer and BBQ every Wednesday in July at The Dutch. This year chef Conor Hanlon has invited some chef friends to join him in the fun. Specials from the bar include $2 PBR Tall Boys; $3 Tecates fully dressed with BBQ rub and citrus; $9 Specialty Bourbon Cocktails; and $40 Summer Punch Bowls. All BBQ feasts include seasonal pies and sweets by pastry chef Josh Gripper.